Few things can put a damper on a day, like a hard or slippery floor. QRRI floor mats are a simple, affordable way to increase protection, comfort and maneuverability for people and animals. These stall floor mats are made of recycled FLEXGARD® rubber that has been reinforced so they are more durable. Farmers and trainers often install them on barn floors, trailers and show rings to make it easier for horses to get around. They are also excellent for use in dog houses, truck beds, home fitness rooms, entryways and other places where you need a durable yet forgiving surface. We sell QRRI rubber flooring mats that can be joined together to cover a room or stall of any size. 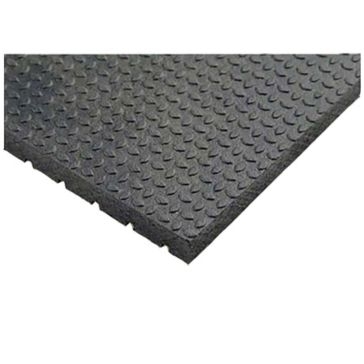 These modular rubber mats are lightly textured to add grip without feeling rough on feet or hooves. They can be permanently secured or temporarily laid down and then cut to fit a custom area. Cleaning them is a breeze as well. 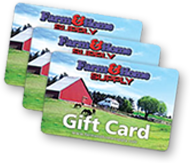 Get yours at a Farm & Home Supply store by asking for our expert flooring staff that are eager to help you outfit your lifestyle.